(Musicians Institute Press). 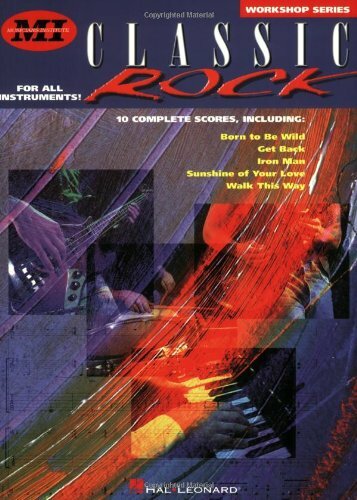 Features note-for-note transcribed scores and performance notes for 10 rock classics: All Right Now * Babe, I'm Gonna Leave You * Born to Be Wild * Get Back * Iron Man * Piece of My Heart * Roxanne * Start Me Up * Sunshine of Your Love * Walk This Way. Each part is analyzed to give "behind-the-scenes" understanding of why these songs are classics and how to perform them. 4. Classic Rock: Workshop Series (Musicians Institute: Workshop) Hal Leonard Corp.
5. Classic Rock: Workshop Series (Musicians Institute: Workshop) Hal Leonard Corp.